Stanek® brand windows and doors are known for their exceptional beauty, superior quality and energy efficiency. Custom-designed and custom-made for your home, Stanek windows and doors are engineered to have among the highest structural and thermal ratings in the industry. But what you'll really love is the way Stanek windows look and perform. You can get a replacement window anywhere; but only Stanek windows offer custom aesthetic options like unlimited custom exterior colors, rich woodgrain interiors, stunning hardware finishes, custom shapes and sizes with high-performance glass options to create the perfect, most energy-efficient window for your home all backed with a limited lifetime warranty for peace-of-mind protection. We make replacing the doors and windows in your home or commercial space easy and stress free. Our Stanek windows experts will assess your existing windows, listen to your needs and current window challenges and make recommendations to help guide you to the window that is right for you and your home. No gimmicks, no games. Just exceptional quality windows custom designed and custom made for you. Give us a call to start your project today! We offer a free, no obligation in-home estimate along with a wide range of affordable low monthly and no interest payment plans. To learn more about Stanek® windows, visit our website www.stanekwindows.com or call 1-800-230-8301 to schedule an appointment. 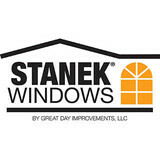 Stanek® brand windows are exclusively manufactured by Great Day Improvements, LLC., makers of Patio Enclosures® brand sunroom. 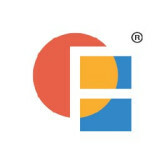 To learn more about Patio Enclosures® brand sunrooms, visit our website at www.patioenclosures.com. Universal Windows Direct provides the highest quality home improvement products at the absolute best market prices. 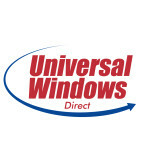 Our story begins in 2002 when owners William Barr & Michael Strmac joined together to establish Universal Windows Direct. We grew from a tiny company in Bedford to a national home improvement operation that recently made #16 on Qualified Remodeler's Top 500 List. From our quality products to our rave customer reviews, there isn't any wonder why Universal Windows Direct is the go-to company for replacement windows in Cleveland, Ohio. Browse our galleries for inspiration, and contact us when you're ready to remodel. Seemray specializes in premium European style, quality home improvement products, such as Tilt-and-Turn Windows, signature Italian doors, and proprietary Flex-a-Stone(tm) siding and paneling products. Zero Pressure window and door buying experience deal direct with the owner Dan. We provide same day quotes on the phone or online. Your choice. 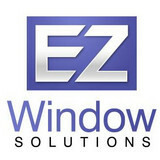 EZ window Solutions is turning the replacement window industry upside down. No money down, No salesman, No Sales Gimmicks, and No Fancy showrooms. Direct windows and doors with a variety of options from the warehouse to your home. We make it EASY! Manufacturing the most energy efficient and durable vinyl windows and patio doors since 1934. Mission: "We will provide an environment to attract, nurture, and retain outstanding people who have a passion for consistently delivering quality products and services that exceed out customers expectations." Vision: "To be the premier manufacturer of the highest quality custom made vinyl windows and suppliers of innovative support services designed to make our customers the leaders in the industry." SUPREME WINDOW & GLASS has been a part of the Cleveland Heights business community for over five decades. 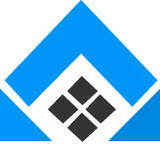 SUPREME WINDOW & GLASS has valued marketing quality products with an honesty and integrity. We continued the legacy of a much needed niche in the construction world. Family businesses have that special touch and personable care that you cannot find in the big chain stores of today’s world. Our company is a third generation residential home improvement contractor. My grandfather, Lester Sensibello, started contracting in the 1930s. For over 60 years we have provided quality service to our customers in sticking to the adage of my grandfather who used to say. "Usa realla good stuff — put in realla good –and don’ta charga too mucha!” When you’ve been renovating as long we have, you don’t risk your reputation by using products that don’t last or perform. That’s the reason we use only the best products available time after time. Our replacement windows, entry doors and exterior products deliver beautiful interiors and exteriors with performance that doesn’t quit. And we know by using these products the homes we work on will look great for a long time and in the end that means we served our customers well. We are a decorative glass manufacturer. We specialize in: Leaded glass, Beveled glass, etched glass, carved glass, laminated glass, insulated glass, tempered glass, cabinet glass, entry door and window glass, glass shelving, custom shower enclosures, UV bonded glass, glass for specialty millwork, store fixture glass and much more. Our name is derived from the Latin word for Window which accurately tells our story of bringing back beauty through craftsmanship to windows and doors. We represent luxury manufacturers from around the world so no matter your vision, we can help you achieve it. We welcome visionary clients to develop an inspiration that turns into a spectacular, and sometimes revolutionary idea. When we can take an idea, and turn it into a reality for the client, that is perfection. Quality Windows has nearly 50 years in the business. Run by father and sons Quality Windows is a “True Family Business”. No matter what the reason for replacing your windows, Quality Windows will help pick out and install your new windows. Professionalism is the key to our business! At Quality Windows, we will give you the individual attention that you deserve and expect. Enjoy the warmth that new windows can bring to a room! Choosing the right window replacement company is essential to getting your project done right. Many homeowners focus a big amount of their budget on kitchen and bathroom remodels, only to realize that having to replace all your windows can be one of the largest investments you will ever have to make on your home. Don't worry, Parma Windows has the knowledge, experience, and craftsmanship to install your vinyl windows right the first time. Parma Windows hires only the best window installer who share our passion for quality and perfectionism. Your personal window repair experts will oversee your window repair or glass replacement project from start to finish, giving you new windows, making your home more energy efficient, and most of all, giving you peace of mind you that your windows will last for years to come. With prices starting at $149.00 Installed - included Low E Glass and Argon Gas filled window chambers, we have a window and a financing option to meet your family's needs and its budget. A family owned and operated business run by 4th generation Northeast Ohio Entrepreneurs, Factory Windows Direct, or FWD as Clevelanders like to call us, proudly offers factory direct pricing on siding, windows, gutters, roofing, and our own line of custom vinyl replacement windows - AmishBilt Window and Door System. Whether you’re building a new Boston Heights home, remodeling an old one or just replacing a few windows that are past their prime, your window dealer in Boston Heights, OH will help you pick the right windows for your needs, home style and budget. Windows come in so many sizes and types that expert advice and direction is invaluable in helping you make the best decision. These pros can also help you with custom window designs that complement your space better than something ready-made. Lastly, if you are interested in doors with windows, these experts are also knowledgeable about sliding doors, French doors and other paned portals. Your window pro might work closely with other Ohio builders and remodelers as well. Here are some related professionals and vendors to complement the work of window sales & installation: Window Treatments, General Contractors, Home Builders, Specialty Contractors, Siding & Exteriors. Find a window dealer on Houzz. Narrow your search in the Professionals section of the website to Boston Heights, OH window dealers. You can also look through Boston Heights, OH photos to find examples of windows that you like, then contact the window professional who worked on them.